Here is another great article from Northwest Pharmacy!- http://www.northwestpharmacy.com. For those who seem to take all the right steps to combat digestive distress—exercising regularly, choosing healthy, organic foods—bloating, gas, constipation, and diarrhea can be a total drag. These symptoms and others may be signs of Irritable Bowel Syndrome, or IBS. Currently, this common condition is the number one digestive disorder diagnosed in North America. IBS is a digestive disorder that is categorized into three main groups: IBS-C (constipation dominant), IBS-D (diarrhea dominant), or IBS-M (alternating periods of constipation and diarrhea). Regardless of type, most sufferers of IBS complain of bloating, gas, and abdominal pain, which cause significant distress and are a major upset to daily life. Physicians call IBS a functional disorder while scientists have yet to discover an exact origin for its cause, making it difficult to diagnose and even more difficult to treat. Imbalance of gut flora (the healthy bacteria in our stomachs): IBS patients have more bad bacteria than good. Many sufferers have found the Paleo diet helps alleviate a number of IBS symptoms. The Paleo diet, also known as the Caveman diet, is comprised of foods our ancestors may have eaten. The diet eliminates all processed and refined foods and aims to maximize both nutrient density and absorption. The Paleo diet is perfect for IBS sufferers, as it removes most of the food groups that trigger the disorder. It also helps reduce overall inflammation in the body by optimizing fatty acid balance and eliminating refined or processed foods. Say goodbye to all grains, beans, and other legumes including peanuts and soybeans. Many people are shocked to learn that grains and legumes may be a major cause of stomach troubles. It can be a hard pill to swallow after hearing nothing but praise for a low-fat, whole grain products for the past 20 years. All grains contain gluten and/or lectins, both of which can be harmful to our stomachs and cause digestive distress. Lectins are a sticky protein found on plants, grains, legumes, and seeds. These proteins help to fend off attack from invaders, which basically helps the seeds survive. When we consume lectins, their stickiness causes them to bind to our gastrointestinal lining, which can cause irritation and inflammation. For many who suffer with IBS, this can cause or exacerbate discomfort. Gluten is a protein found in wheat and wheat derivatives, such as spelt, kamut, barley, and rye. Gluten can lead to serious problems for many people who suffer from Celiac disease. 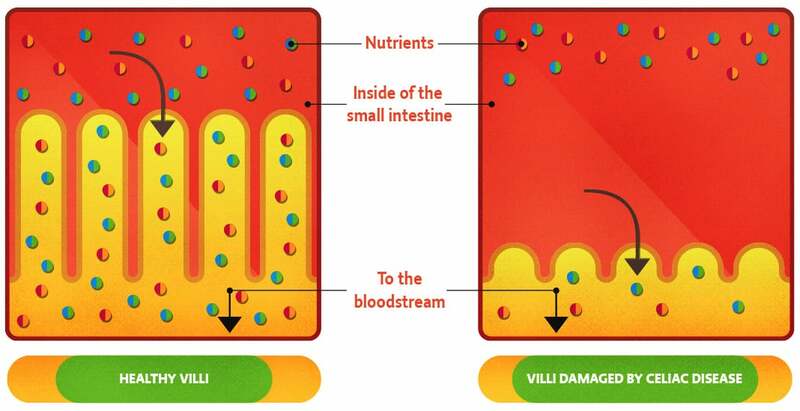 Celiac disease is an autoimmune disease that damages the villi of the small intestine and interferes with the absorption of nutrients from food. Your doctor can conduct a simple blood test for Celiac disease. Tested negative? Many IBS sufferers who don’t have Celiac disease may still suffer from something called gluten intolerance. According to the National Foundation for Celiac Awareness, an additional 18 million Americans suffer from gluten intolerance, or the inability to digest this sticky protein. For many people it may be best to keep it Paleo and cut all gluten products out of your diet entirely. Dairy products can be a two-fold problem, especially if you are gluten intolerant. The first problem stems from casein, a protein in milk found to cross-react with gluten. Many with a gluten sensitivity will be unable to tolerate any dairy product. The second problem with milk is the sugars, most often lactose and galactose. These sugars tend to aggressively ferment in the intestines of people who suffer from IBS, causing severe gas, bloating, and discomfort. Vegetable oils, which include canola, sunflower, safflower, grapeseed, soybean, and cottonseed oil, are very high in polyunsaturated omega-6. A diet high in polyunsaturated omega-6 can promote systemic inflammation and overall gastro-intestinal inflammation. While nuts may technically be part of a typical Paleo diet, those with IBS should avoid most nuts and seeds since they’re hard to digest and, like vegetable oils, are high in omega-6 polyunsaturated fats. With All This Food Elimination, What Do I Eat? Lightly steamed or broiled veggies. It will make them easier to digest and gentler on your sensitive digestion. Bone broth. Bone broth is rich in natural amino acids that aid in gastro-intestinal healing. Fermented foods. Adding food like fermented sauerkraut, kimchi, veggies like carrots, kombucha, and kefir into your diet can help optimize your gut flora. Some starchy paleo-friendly carbohydrates. Starchy carbohydrates like yams, squash, and green plantain contain soluble fiber. This type of fiber helps to feed your healthy gut bacteria, and healthy bacteria equals a happy belly. Grass-fed meats, wild-caught fish, and pasture-raised poultry and eggs. These products have exceptional nutritional composition and higher levels of anti-inflammatory omega-3 fatty acids, which will aid in healing and help balance inflammation from the omega-6s in your diet. Filtered water and nourishing teas including ginger and peppermint. They can help soothe the gastrointestinal system. 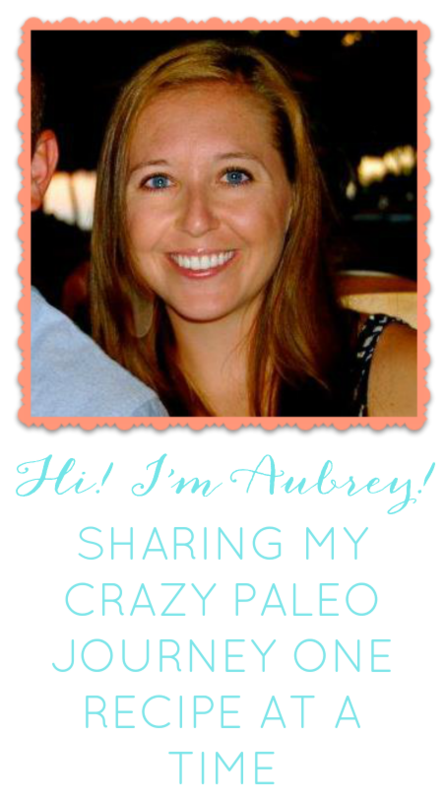 Check out this post on how to start the Paleo diet. Here you will find expert tips on how to transition into the Paleo lifestyle. While the Paleo diet focuses on nutrient-dense whole foods, some of these Paleo safe foods may still cause trouble for some IBS suffers. There is new research that shows that FODMAPs, which is an acronym for Fermentable Oligosaccharides, Disaccharides, Monosaccharide’s And Polyols, may significantly contribute to IBS symptoms. 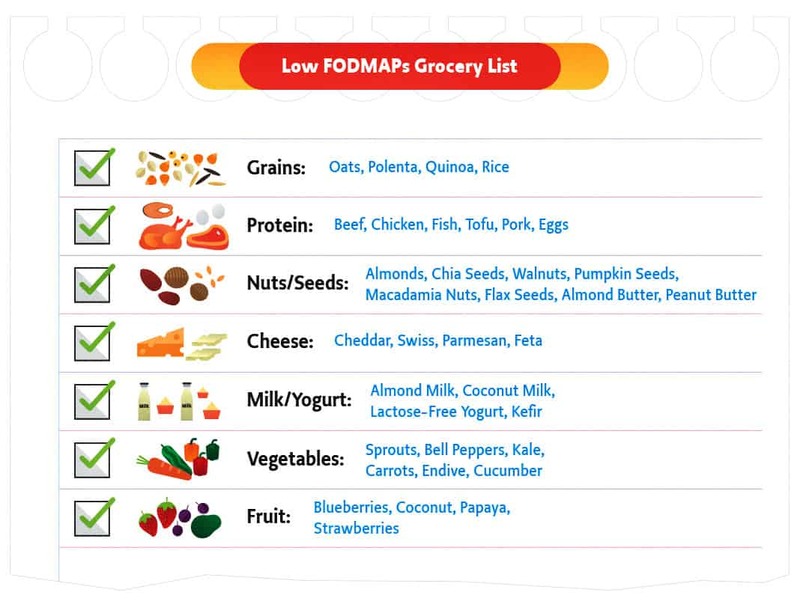 FODMAPS are in a variety of foods and include things like fructose, lactose, fructans, galactans, sorbitol, and mannitol. These sugars are not only found in non-Paleo foods including grains, dairy, and seed oils, but are also present in many Paleo friendly foods like garlic, onions, asparagus, peaches, honey, and avocado. Try an elimination diet and exclude foods high in FODMAPS for three to four weeks. See how you feel. You may find that your symptoms disappear. For a detailed list check out IBS.org.